Home Analytics How to see Hours Utilization by each resource for a specific period? 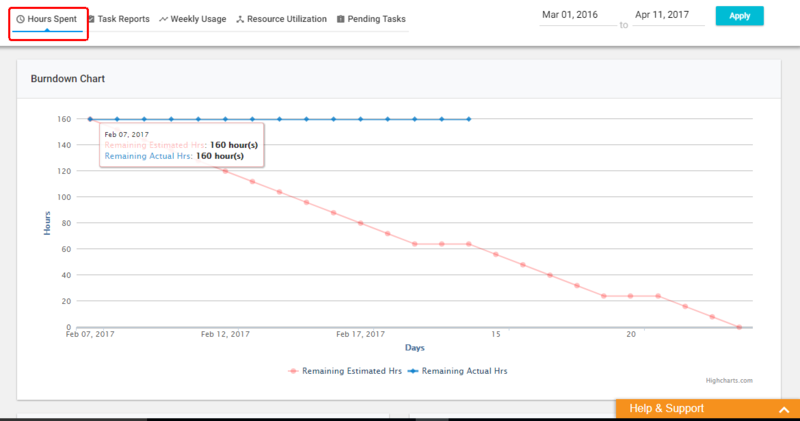 How to see Hours Utilization by each resource for a specific period? Click on “Hour Spent” Tab (i.e first Tab). 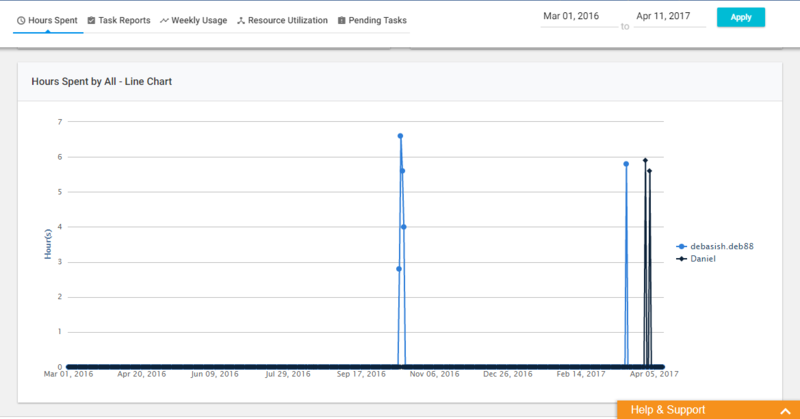 On this tab, you will see 3rd and 4th chart shows hours spent by all resources on the project, one in grid view and another one in line chart. You can change date range (on right hand top corner) to see data for specific period.You will be able to download the chart in pdf, png, etc. In order to see detail report, you can see it in time log.